The American meatpacking industry during the early 20th century lead to the creation of the Food and Drug administration. The Great Depression in the 1930s that lead to formation of the Securities and Exchange Commission. The PCI DSS is the latest regulation of personal data protection since the Gramm-Leach-Bliley Act in 1999. Are these regulatory compliance measures necessary? Why and how are they formed? Are they positive for the industry? 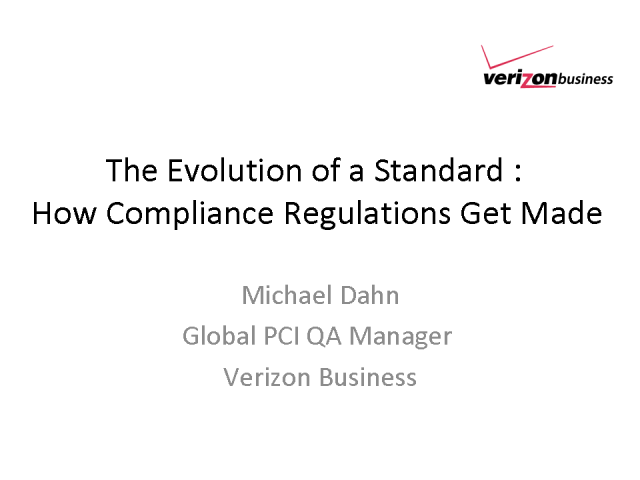 This presentation will answer these questions and provide a better approach to understanding the PCI standards and how this information can save you money.